a roominghouse for the servants of the duende. Poem. Sean Thomas Dougherty. I Am A Forty. Memoir. Steve Coffman. Perfume River. Poem. Ray McManus, American Poem #2. Poem. Leslie Anne McIlroy. The Way Out. Poem. Robert Daniels. County Employee. Poem. Melissa Morphew. You Left And. Poem. Suzanne McWhorter. Elegy: Undefined. Poem. Jeff St James. Bush Soul. Poem. Sean Thomas Dougherty. The Shape of Such Longing. Poem. Melissa Morphew. This is the Syntax Called Bettie Page. John Grey. 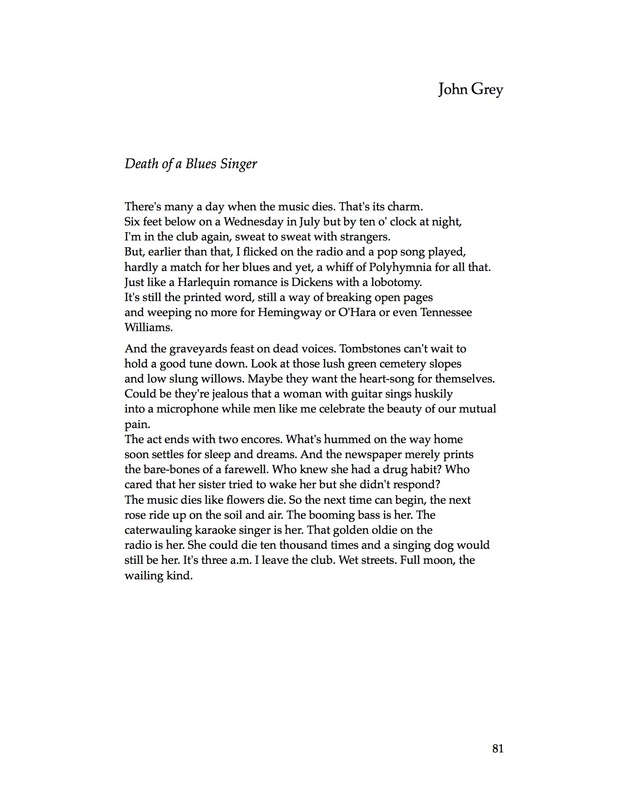 Death of a Blues Singer. Matthew Kabik. In the Orchard, in the Field. THE LIMIÑANAS featuring Peter Hook. Garden Of Love. John Maus. Do your best. Brian Jonestown Massacre. Just For Today. Sean Rowe. I still miss someone. Steve Abbott. Long Haul on the Interstate. Super Preachers. Love Criminal (featuring Sista Moon). Sufjan Stevens. Should Have Known Better. Enter your email address to receive Pea River Journal news by email.